A blog post of interest only to me quite possibly. Let’s take a look. January. I know I read Horns by Joe Hill over Christmas last year, but I have no clue what I was in to during January. 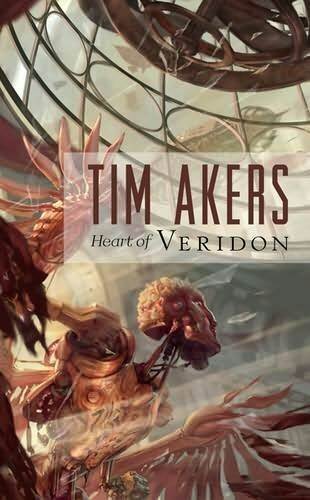 What I do know is that I picked up Heart of Veridon by Tim Akers from the SFX Weekender and started reading it straight way. A strange book, Heart of Veridon had me questioning what Steampunk is, and if I really knew what the sub genre was about. February went by in a blur of me copy editing the novel I wrote back in 2009. Not much reading occurring at this time except for my own manuscript. I was also made redundant at this time, meaning less commute (well, no commute) and therefore less reading. Next up was Among Thieves, which I won through being a nuisance on Twitter. I wrote about that book for Total Sci Fi Online. 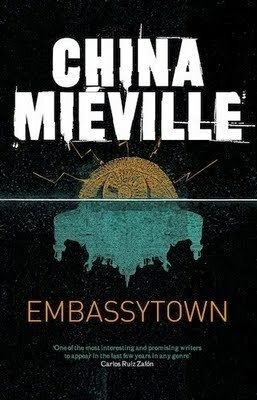 I was given an advance copy of Embassytown in April which I read quite slowly because the prose is very rich and I didn’t want it to end. I was also dipping in and out of Strunk and White’s Elements of Style and Francine Prose’s Reading Like Writer. Both of these were presents from my friend Anne Perry, who would go on to be my editor for Pandemonium: Stories of the Apocalypse and the Pandemonium Stocking Stuffer. Thanks Anne! Later on in the year I added to the non-fiction book count by leafing through How to Read Churches. It dovetailed nicely with all the gothic architecture that was cropping up in my novel The Boy With The Porcelain Ears. You can read the first two chapters of that fledgling novel here. In May I finally got around to reading Chris Wooding’s The Black Lung Captain, which built on the solid foundation Wooding laid in Retribution Falls. 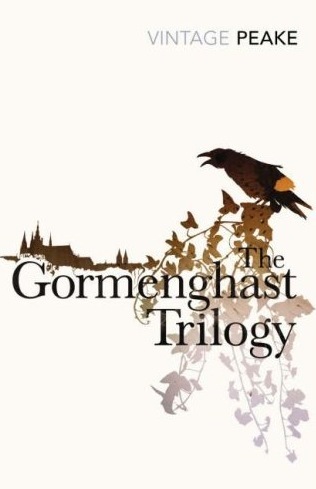 In June I was tackling Gormenghast. I’d read the first part of Peake’s famous trilogy some ten years before but never managed to find the time to plunge in to book two. With no job on the horizon I used the time to soak up more of Gormenghast castle’s epic ambience. After a few weeks work experience at Gollancz I found myself in possession of Ian McDonald’s The Dervish House, which I thought was superb. I had to be patient as my reading preferences are quite action orientated, but this was excellent. From Mr McDonald to Pierre Pevel’s The Cardinal’s Blades. Short chapters, changing points of view and swashbuckling shenanigans had me gripped to the last page. Good times. 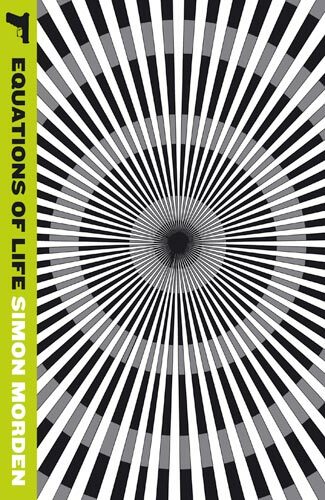 Simon Morden’s Equations of Life kept me company on lots of bus journeys and made me think about London in totally different ways. Mainly with giant construction machines rampaging over the sky line I grant you. I’ve not read the other books in the sequence, but they’re definately on the ‘To Read’ list. A ton of reviews have been written about Lauren Beukes’ Zoo City, but that didn’t stop me adding my own thoughts here. (Note: I actually bought this one from the British Library). Following on from meeting Kim Newman at Latitude Festival (where I helped out at the literary tent) I got myself a copy of Anno Dracula and could barely leave it alone. I wrote an unashamedly glowing review of this novel here. Another coup for Titan Books. The lovely Sophie Calder from Titan books met me for coffee and loaded me up with some Hard Case Crime novels. 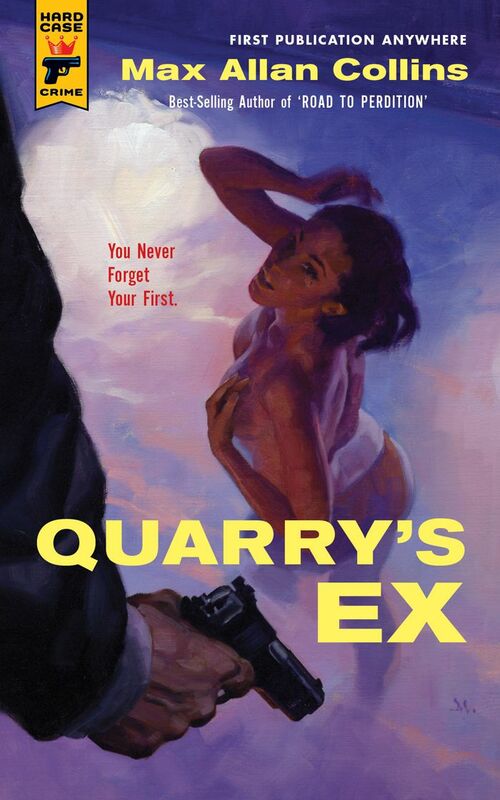 To date I’ve only read Quarry’s Ex by Max Allen Collins, which was a sleazy blast. These are fun, fast and down and dirty novels. I’m looking forward to more Hard Case Crime soon. And then to the epic splendor of Romanitas by Sophia McDougall. This is a beast of book full of intrigue and complex interpersonal dynamics. And very detailed information about crucifixion, which made me squirm in my seat. The end of the year brought Chris Wooding’s third Ketty Jay book, The Iron Jackal. Wooding is having a great time with Captain Frey and there’s something cinematic and pleasantly unique about these novels. Echo City was a strange book full of city-based, internecine conflict over shadowed by a great and terrible doom. This book consistently avoided taking the route I expected. I found a copy of Penguin’s Three Gothic Novels at Blackwell and decided to pick it up. Partly this was out of a desire to widen my reading habits and also to figure out if The Boy With The Porcelain Ears is as gothic as I think it is. The Castle of Otranto started out with a lot of promise but descended rapidly into a lot of stilted conversations. It is the great granddaddy of gothic novels, so there may well be a bit of a generational gap between that sinister tome and this pop culture spoiled reader. I’ve also started reading The Hobbit largely because that trailer got me very excited. Fortunately Tom Bombadil hasn’t derailed my reading experience (because he isn’t it, thank Galadriel) and there’s a lot small people getting put into barrels. What did you read this year and how many novels did you read in a year? How many were paper and how many were ebooks? Hmmm, how spoilery is "some spoilers"?